Namibia. A bucket list destination for people the world over – with good reason. 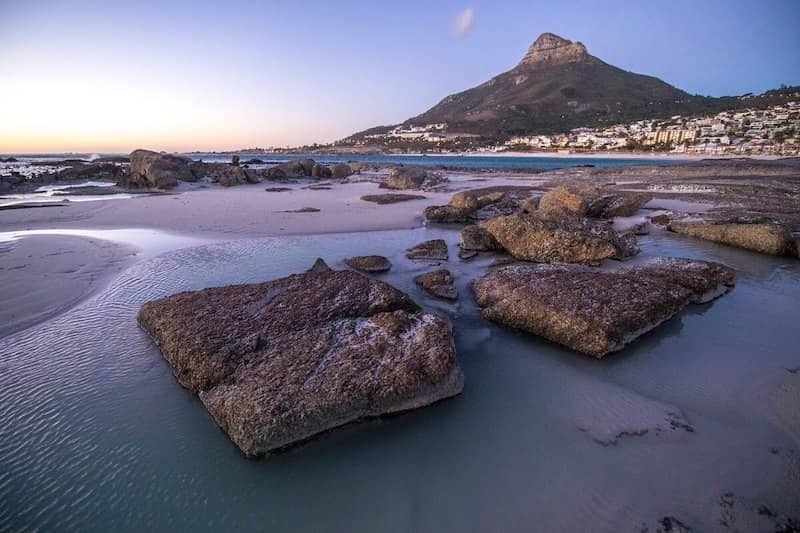 This South African country lures with its seemingly endless expanse and pure, untouched wilderness. As one of the most sparsely populated countries on earth, you will find not a single human soul here for hours at a time. Namibia is the ideal destination for self-drive and enchants with its diverse scenery. Discover with us the best destinations in Namibia, from the ice-cold Atlantic Ocean over mighty dunes to the animal-rich open veld. 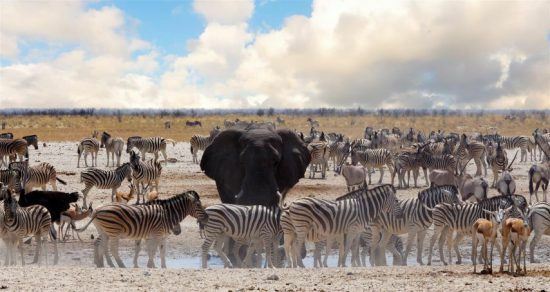 As the flagship of Namibian wildlife sanctuaries, Etosha National Park is a treasure trove of flora and fauna. Located in the northern heart of the country, an astonishing wealth of animals and diverse landscapes awaits visitors. Bush, open grass steppe, water holes and the characteristic salt pan determine the scenery. 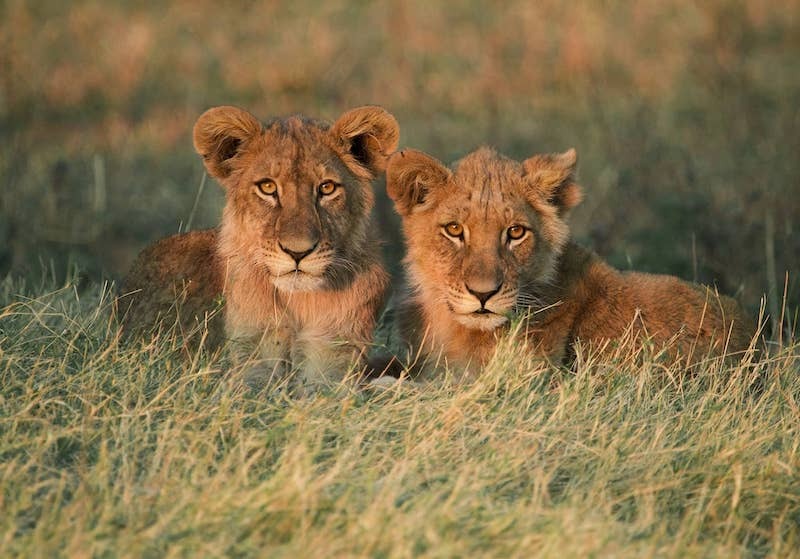 The Etosha National Park is home to the “Big Four”, elephants, rhinos, lions and leopards. The African buffalo cannot be found here but numerous species of antelope that cannot be found in other parts of Africa more than make up for it. For example, the oryx antelope with its beautiful coloring and majestic horns is a popular motif against the backdrop of salt pans. 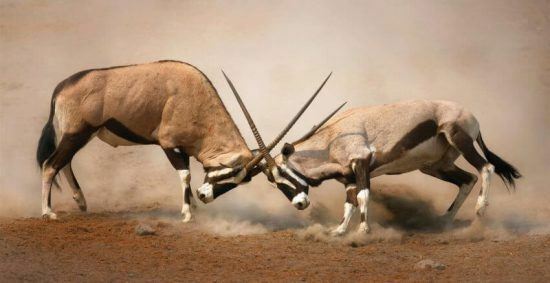 Otherwise, you can look forward to springbok, kudu, warthog, zebra, giraffe and many more animals. Furthermore, the park is home to 340 bird species, one third of which are migratory birds. Etosha is a year-round destination, but winter months – between April and October – are the best time to travel. The reason for this is simple: it’s dry season, the vegetation is sparse, the water is scarce and animal sightings are more likely. Elephants, antelopes, ostriches, zebras and giraffes gather especially around the few remaining waterholes. The Namib Desert, which is situated between the Atlantic ocean and the barren centre of the country, is considered to be the oldest desert on earth. Dried out lake plateaus, towering dunes and the iron-rich red sand dominate the landscape. Anyone who thinks that the desert is hostile to life is wrong. Here, too, oryx antelopes roam the dunes, reptiles and insects thrive, and jackals survive on carrion. The region is famous for the “Little Five” – ​​gecko, chameleon, spider, lizard and snake. In the southern part of the Namib, visitors can expect one of Africa’s most beautiful photo opportunities. Sossusvlei and Deadvlei are salt pans surrounded by huge red sand dunes, which results in a dreamlike spectacle of hues and lines. The colors and shadows of the dunes as well as the glaring earth of the pans with scatterings of dead trees is purely an aesthetic wonder. If you want to have the best view, you can climb the dunes, which are up to 388 meters high. After days in the barren desert or in the dry Etosha National Park Swakopmund offers a welcome respite. This coastal town on the Atlantic Ocean has excellent infrastructure and is ideal for a relaxing stopover. Numerous shops, bars and cafes invite you for a beer or a glass of wine, while the pier restaurants serve fresh seafood. Visitors can stroll along the promenade or sunbathe on the beach. You can admire the German colonial architecture or simply relax in one of the comfortable hotels. 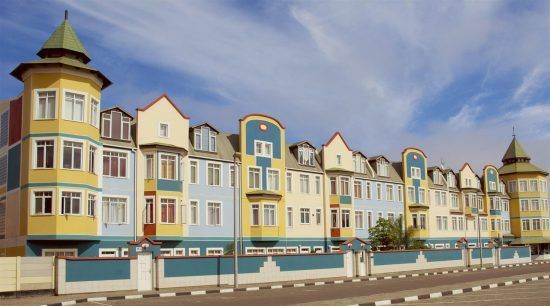 But Swakopmund is not only popular with those seeking relaxation. It is considered the adventure capital par excellence. Its somewhat sleepy appearance is deceiving as numerous activities are available. 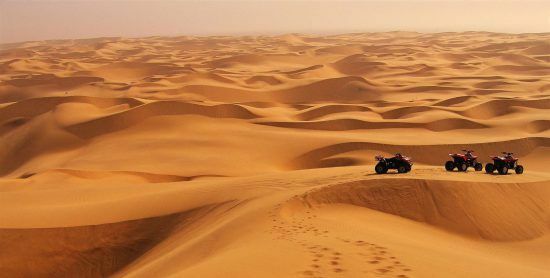 A quad tour, camel ride, desert safari and even a romantic hot air balloon ride beckons the adventurous at heart. At the other end of the town, the Atlantic Ocean is great for water sports and boat tours. 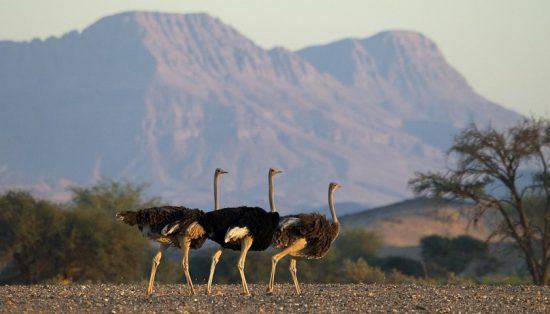 An absolute favourite among Namibia adorers, Damaraland enchants with its incredible dreamlike setting. The barren landscape is characterised by gentle peaks, seemingly endless grass steppe and rugged rock formations. In the evening, the yellow-brown of the environment merges with the orange-red of the sun, which creates an almost magical mood. The region may not seem like the most animal-rich at first, but that’s what makes it so special. 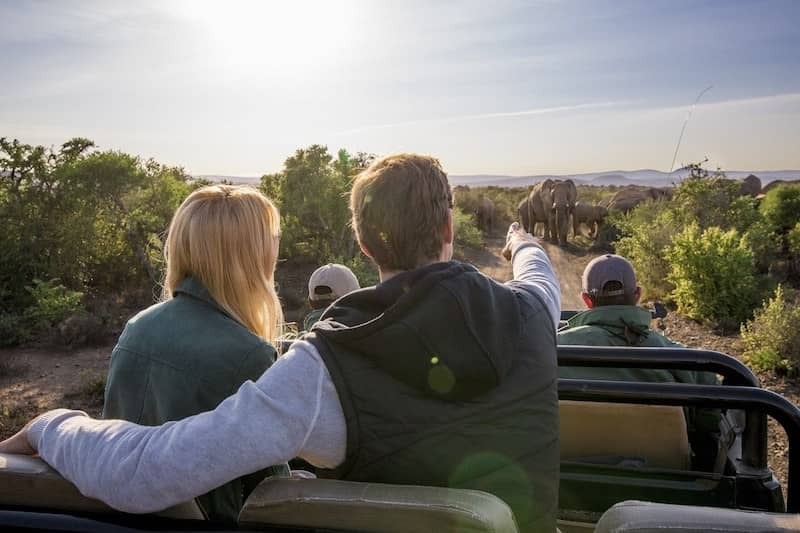 With luck, visitors can admire the last truly wild elephants, lions and rhinos. The Damaraland is not only known for its natural treasures. Hobby archaeologists and geologists will also get their money’s worth, as the region is home to some of Twyfelfontein’s oldest and most beautiful rock paintings, as well as historic stone elements such as the Burnt Mountain or the Organ Pipes. Of course, this is just a selection of destinations in Namibia. We also recommend a visit to the Kalahari and the mighty Fish River Canyon in southeastern Namibia. 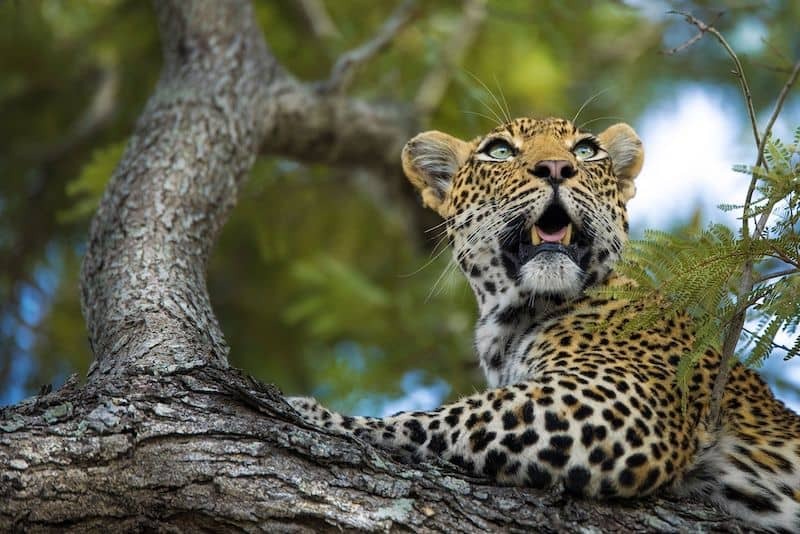 The high north of the country is also worth seeing as the home of traditional tribes like the Himba as well as the animal-rich Caprivi strip. 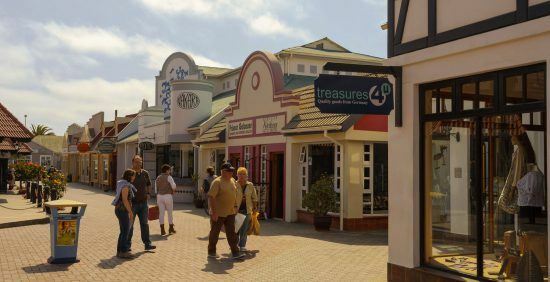 In the heart of the country, the capital Windhoek awaits visitors with numerous sights and the Waterberg plateau with its fantastic views, flora and fauna and far-reaching history. Does the splendour of Namibia manifold terrain call to you? Get in touch with one of our travel experts today and start designing the bespoke itinerary of your wildest dreams.